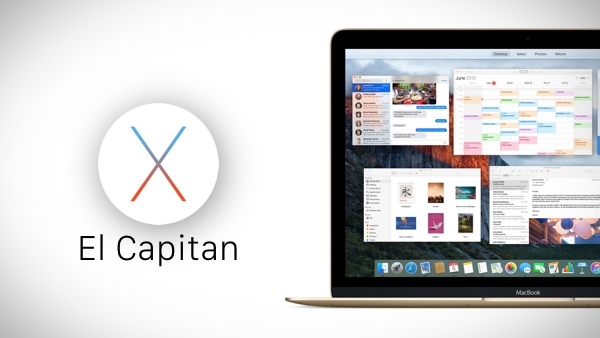 After something of a false start yesterday, Apple has now made two new OS X 10.11 El Capitan betas available to download with both developer and public betas arriving almost simultaneously. Developers looking to download the beta 7 release of OS X El Capitan can do so via the Update tab on the Mac App Store or by visiting the Developer Portal, while those who are part of the Public Beta program of El Capitan can get their beta 5 update via the Mac App Store also. While the updates are, indeed, new builds with the developer beta at 15A263e and public beta showing as 15A262e, the changes that both new beta releases bring with them are minimal, at least on the surface. Those who truly pay attention may notice the new Safari splash screen, which offers a “Welcome to Safari” page for those that may not be familiar with the web browser, and a new option that allows you to disable the new shake-to-find-cursor feature. Even less likely to get too much attention is the newly colored OS X 10.11 El Capitan logo in the system overview panel. Neither of these new additions are likely to make anyone rush out to get the beta installed as soon as possible, but if you are already running the last beta of El Capitan, then there is no knowing what bugs and little glitches have been killed off as part of this new build. We always recommend making sure you are on the latest beta build if you really must install beta versions of OS X or iOS at all, and this current build is no different whatsoever. OS X 10.11 El Capitan is set to arrive in a matter of weeks, and alongside the current iOS beta, is in full swing with an eye on the clock. Expect to see a Golden Master build of El Capitan fairly soon, signalling the fact that new features will be added before the final shipping product hits the App Store. The same goes for the iOS betas too, for that matter. Thanks but No Thanks I’ll wait for the final release. It killed the bug that crashed Word 2016 when saving a document. just google atttiphoneuunloockiingis able to ՍΝᏞΟᏟΚing your AT&T phones with only 6 days. Their facebook page is fantastic as well! !